My I AM Presence - Who is the Ascended Master Maitreya? Lord Maitreya holds the office of Cosmic Christ and Planetary Buddha. His name means “loving kindness,” and he focuses the radiance of the Cosmic Christ to the evolutions of earth. Under the office of the Cosmic Christ, Lord Maitreya monitors potential earth changes as well as the comings and goings of the fallen angels and the progress of the Christs incarnate. 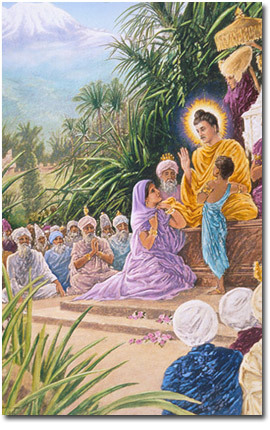 Lord Maitreya is the teacher of Jesus, who, with Kuthumi, now holds the office of World Teacher. He is known as the Great Initiator and was, in fact, the initiator of Jesus in his individualization of the Christ flame in his final embodiment as world savior and exemplar of the way, the truth and the life to all aspirants on the path of personal Christhood. He was the guru of the twin flames in the Garden of Eden, which was a mystery school of the Brotherhood. And Maitreya, referred to as the Lord God in Genesis, was its hierarch. The long awaited “Coming Buddha,” Maitreya has indeed come to open his Mystery School to assist Saint Germain and Portia, twin flames of the seventh ray and hierarchs of Aquarius, to usher in the New Age. As the sponsor of twin flames, he is the friend of all initiates of the sacred fire.